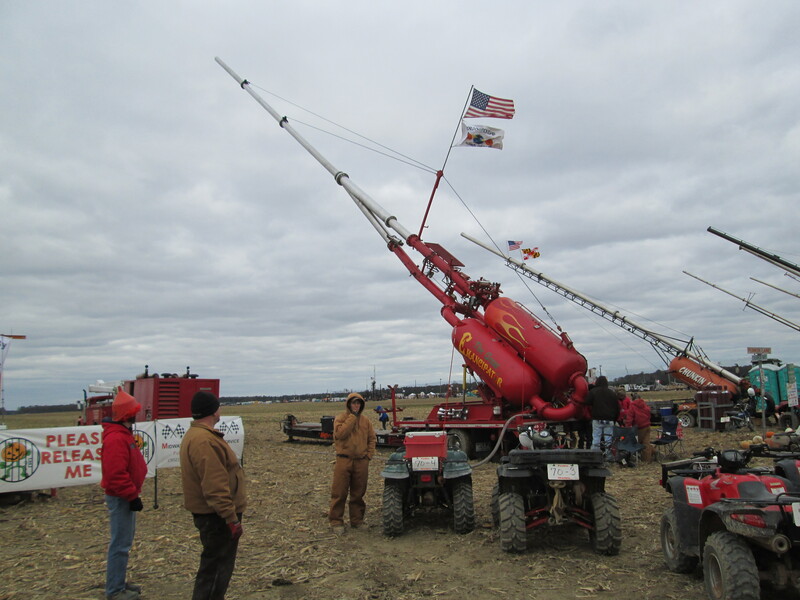 When we weren’t getting ready to launch a pumpkin at Punkin Chunkin, our team was visiting with other teams in the 15 divisions, checking out their machines (catapults, trebuchets, air cannons), watching their launches, and making notes for next year. 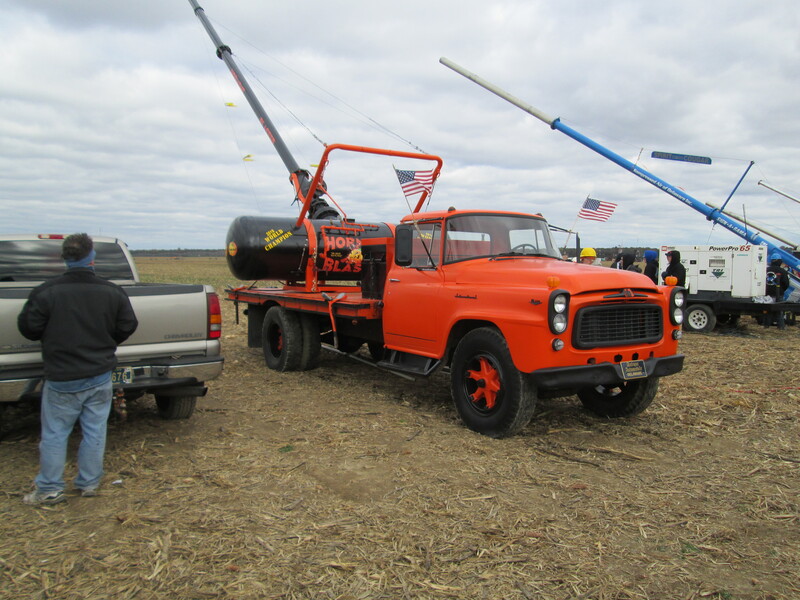 The competitors were friendly and open, everyone eager to show off their machines and to add a word of insight or advice. 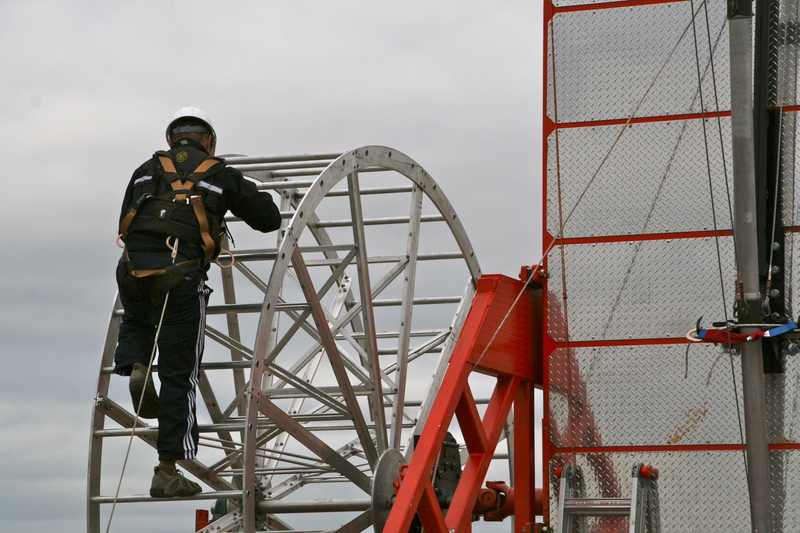 We watched the various methods of human power used on some of the machines (hand crank, bicycle, rowing machine, even climbing a hamster type wheel). 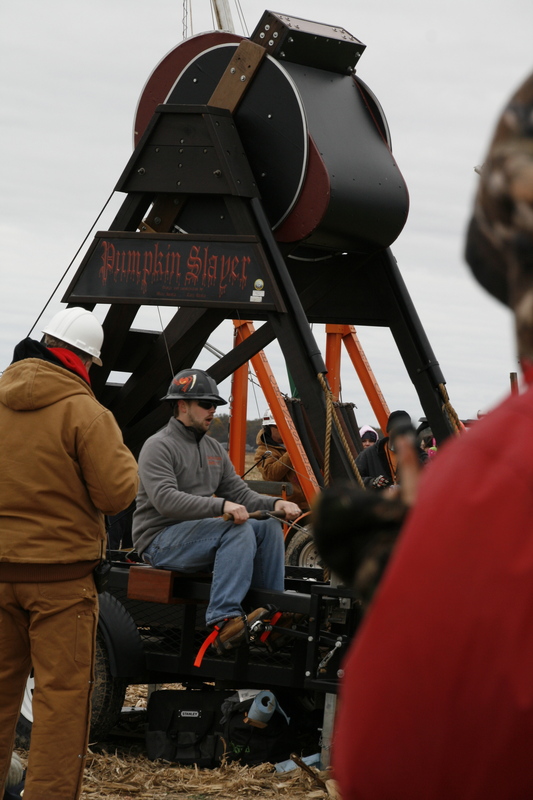 We checked out Pumpkin Slayer and watched the machine shoot its pumpkin 1283 feet in the Adult Human Powered Division (decent but less than the world record it set in 2009 with a chunk of 1984 feet) and watched the Smokin Lamas set a new world record with their first chunk (1586 feet) in the Adult Centrifugal Human Powered Division. 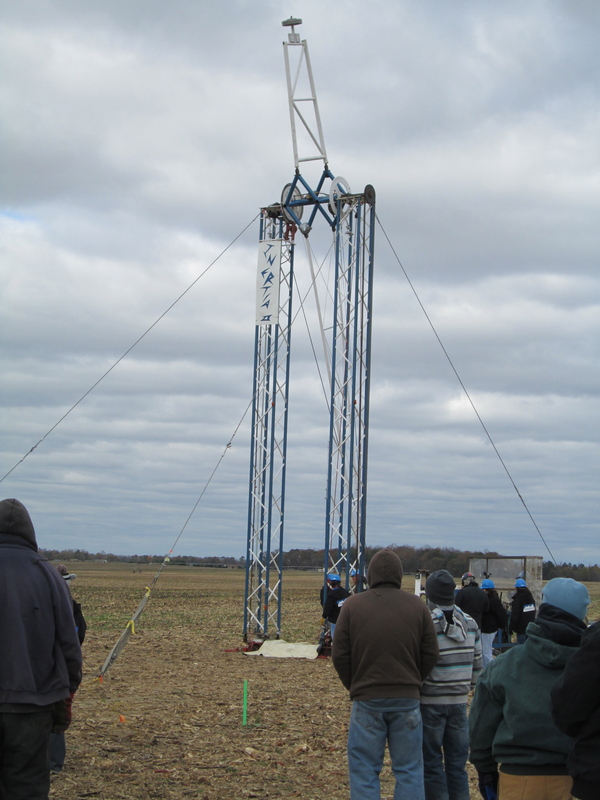 We marveled at Inertia II, a centrifugal machine. 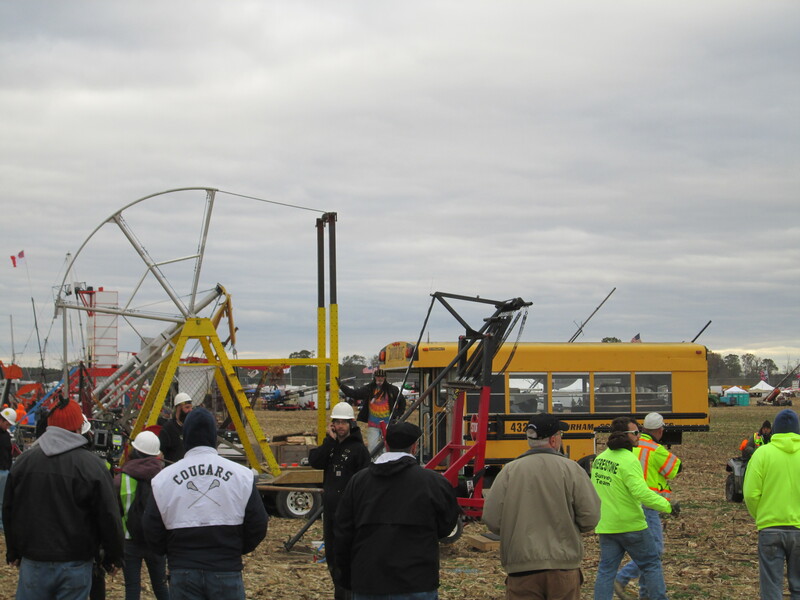 After learning how its machine works, we watched as Inertia II threw its last pumpkin 2,688 feet, just 49 feet shy of the adult centrifugal world record set in 2006. 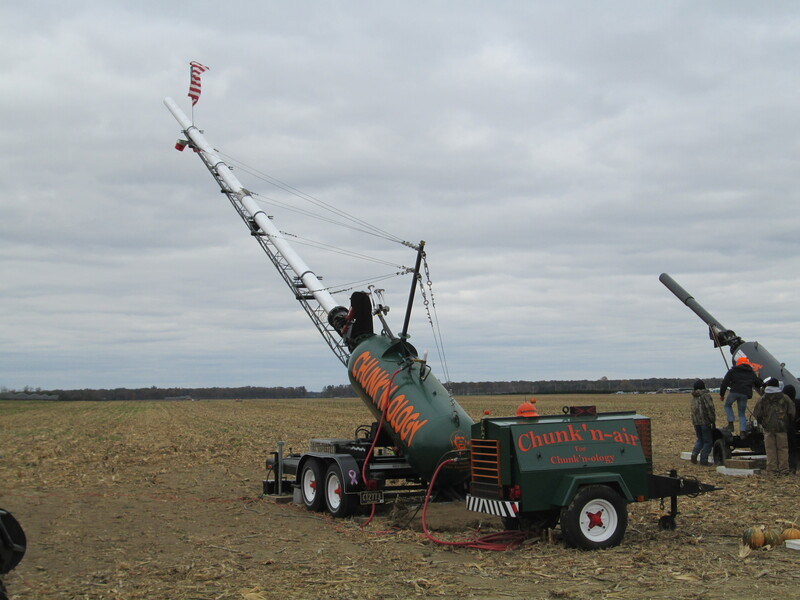 We held our ears and scanned the sky as the air cannons sent their pumpkins flying thousands of feet. 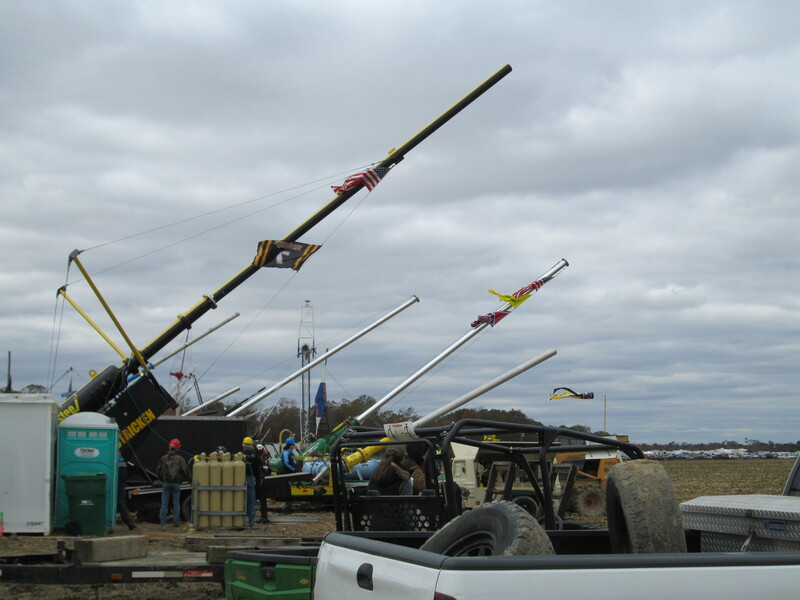 With names like Spit Fire, Chunk-n-ology, Old Glory, and even the Hormone Blasters, the air cannons were sleek and colorful. Young Glory III won the Adult Air division with its launch of 3,887 feet while Hormone Blasters won the Adult Female Air division with its launch of 3,500 feet. Air cannon photos by Sandy Taft.